itch.io Community » Game Development » Release Announcements · Created a new topic "Political Apocalypse" now released! 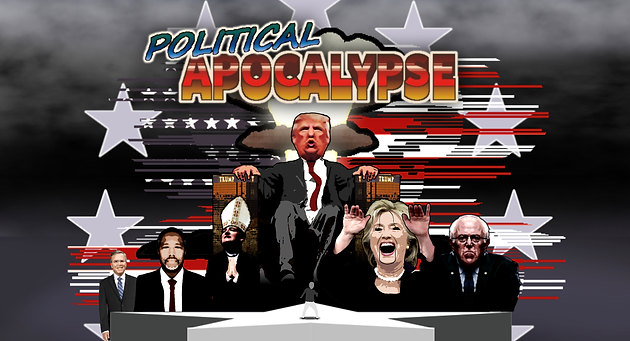 We would love to get some feedback on our new free game, Political Apocalypse, where you have to defeat all of the presidential candidates to save America. It's a funny platformer-like boss fighting game, not to be taken too seriously. We'd really appreciate it if you could check it out HERE. This is the first game that we have made for this site, and we are really loving it so far. We hope you enjoy it!